I've revised the version I originally put on the blog. I had a request to mix up the mice so that all the evens weren't boys and odds weren't girls. I thought it was a great idea for a higher math group. Debbie Diller would be proud! If you have already downloaded Mousy Math, you might want to go back and get the newest version here. I found some adorable mouse clipart from Scrappin Doodles and had to figure out a way to use it. Here's what I came up with. 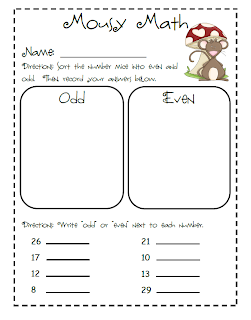 It's a math center to practice with odd/even numbers at the beginning of the year. 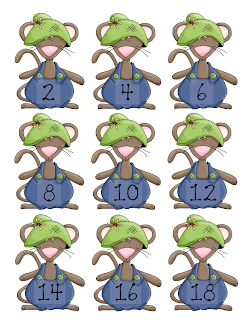 Before I put it in a center, I'm planning to use the mice to visually show the odd-even pattern by lining up all the mice in number order. 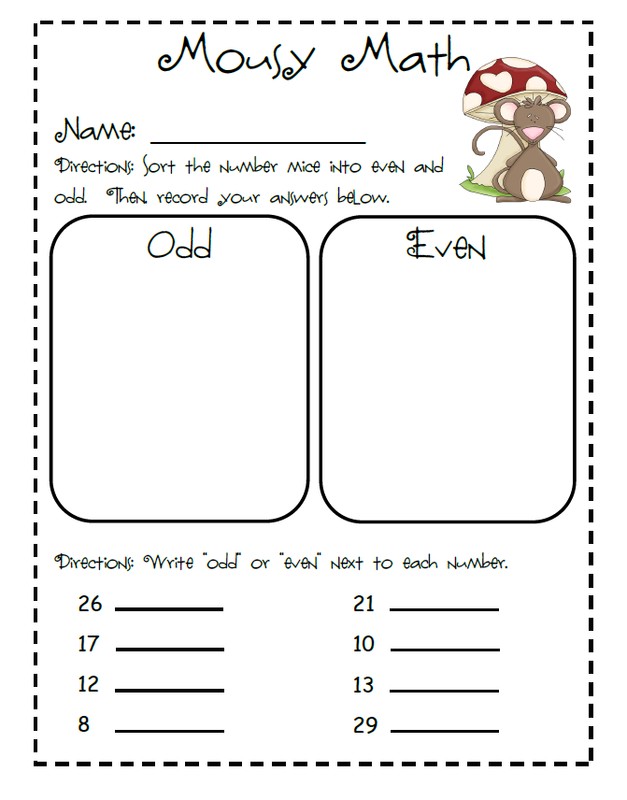 You could also have your kids put the boy mice in order, to practice counting by 2's. To make the center, you'll need to print on cardstock and laminate. Cut apart the mice and the cheese. I've included a recording sheet.